For some young patients, it takes more than dental cleanings alone to enjoy good oral health. That’s why our team of hygienists and pediatric dentists at Treasured Teeth offers dental sealants. With this preventive service, we can help our young patients enjoy extra protection from cavities. Dental sealants are designed to shield teeth from destructive bacteria. They’re made from plastic, but they’re applied as a liquid. In most cases, they’re used to protect the chewing surfaces of teeth, where pits and grooves can give food and bacteria a place to hide. 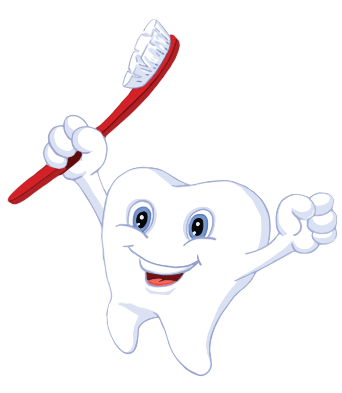 A patient’s back teeth are especially vulnerable, because it can be hard for beginners to adequately clean them. Dental sealants can be applied in just a matter of minutes, and once in place, can provide years of advanced protection. These can be a great option that might be suggested by your pediatric dentist. Is your child vulnerable to decay? Let our team talk to you about the benefits of dental sealants. Give us a call to schedule your little one’s next appointment. We offer comprehensive care to children and have offices located in Reunion and Thornton. 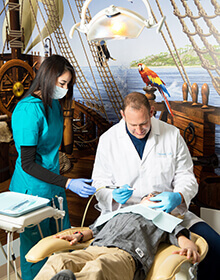 Our pediatric dentists and dental team are looking forward to working with you!